Have you been thinking about starting up your own business? There are plenty of startups that began in garages and that’s not just a manufacturing space. If you need a dedicated office that is free from distraction, then your garage could be that space. This is where replacing the garage door with a different type of entrance might be a good choice. What’s great about having a garages as a home office is that you can entertain clients and their without disturbing the rest of the house. If your hobbies involve crafting then it’s understandable if you outgrew the corner where your current set up is. How would you like to use your garage as a crafting studio? Think about all the storage you can set up. Think about all the room you would have to make your creations. This is also the potential to take your crafting hobby and make it into a business. Often we try and cram gym equipment into the garage with all the rest of the clutter. Why not indulge yourself by creating a complete gym space? You don’t have to fully stock it with all the equipment at once. Instead, add piece by piece until you’ve got the perfect gym. It’s so much easier to walk out into your gym then waste time driving back and forth to one. Freshly painted the walls, carpeting on the floor and a new garage door can turn this place into a perfect guest room. You might even have room to put in a half bathroom. That is also a terrific idea to cook how to increase the value of your home. 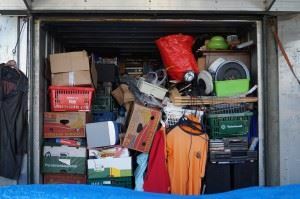 Before any of this garage conversion can take place you need to get rid of all the rubbish. Junk King Palm Beach is the perfect partner for this job. One call to these professional junk haulers will have a huge truck backing up to your garage door. All you have to do at that point is point to the things you want removed and the Junk King Palm Beach team will have a cleared out in no time at all. You’ll be amazed how quickly you can get that empty space back. Put Junk King Palm Beach to work today clearing out your garage of unwanted rubbish. This entry was posted in Junk Removal Palm Beach and tagged garage, junk clearing, Junk King Palm Beach, rubbish on June 30, 2017 by Junk King. Last updated July 1, 2017 .